The Mt. 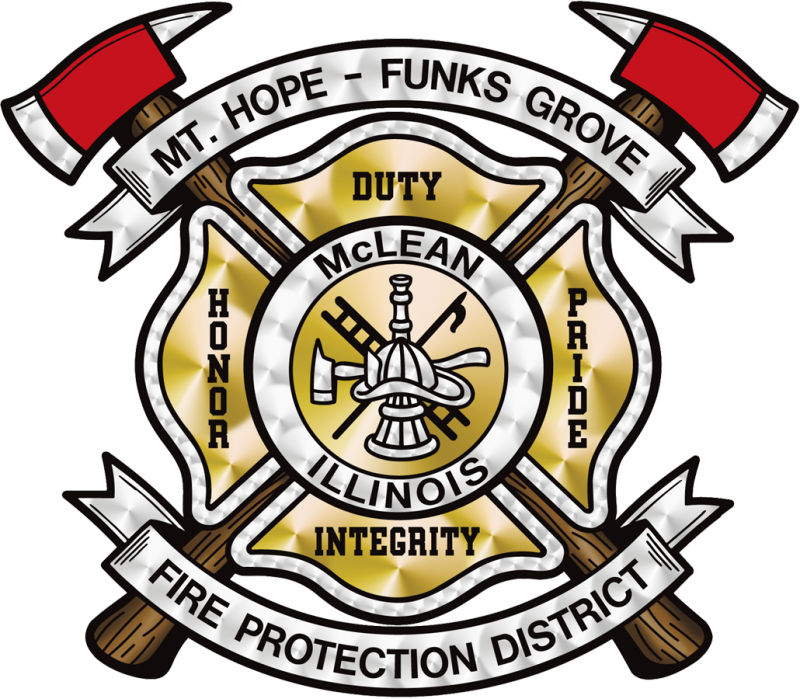 Hope–Funks Grove Fire Protection District's mission is to be a leading emergency service organization by meeting the needs of our community in fire prevention, fire suppression, and rescue and by utilizing and improving all of our services and operations. In carrying out this mission, the Mt. Hope-Funks Grove FPD will give top priority to life, safety, property, and enviromental concerns, always communicating openly and honestly to our community and members to ensure trust and confidence. The Mt. Hope–Funks Grove Fire Protection District is a paid-on-call department consisting of 12 firefighters and 4 paid EMS personnel. The department is contracted to provide structural & wildland firefighting, rescue to the operational level, and EMS transport at the BLS level. The department has formal mutual or automatic aid agreements with 30 fire departments protecting an additional 181,076 residents residing in 1440 square miles as part of the Illinois State Mutual Aid Box Alarm System (MABAS). The district's first due response area includes one daycare facility, two public schools with 1000 students, one hotel, two low-rise apartment buildings, five churches, and one park district building. Transportation risks include three high-speed highways encompassing 34 square miles with a daily traffic count of 33,000 vehicles; 10 miles of rail line transporting passengers, freight, and hazmat materials 15 times daily; and a private airport with two runways and 50 flights per year. In addition, the district sees an influx of visitors that include the Funks Grove Rest Area with 1.2 million visitors per year, the Sugar Grove Nature Center with 25,000 visitors per year, and the Funk Prairie Home with 6,500 visitors per year. Mt.Hope-Funks Grove FPD needs more volunteers like you. 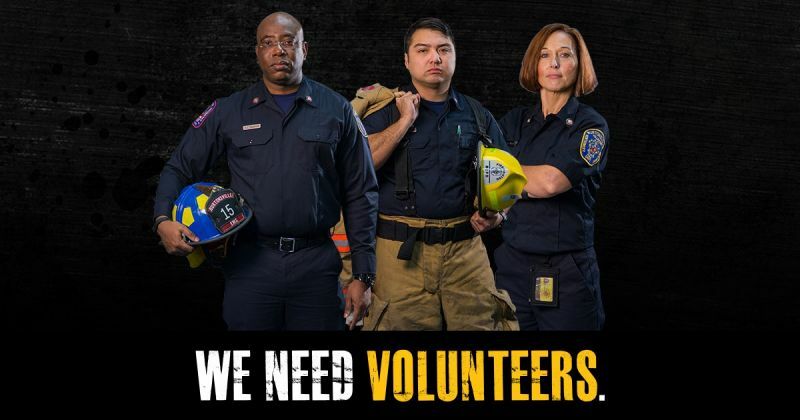 Learn more about our volunteer opportunities at MakeMeAFirefighter.org. The Mt. Hope-Funks Grove Fire Protection District is no longer using the outdoor warning siren for Fire-EMS related calls. The Outdoor Warning Siren will only be used for weather-related activity. The Village of McLean, along with the fire department, conducts a test of the outdoor warning siren at 10 am on the first Tuesday of the month in conjunction with other communities throughout the State of Illinois unless severe weather is in the area. Most systems use two siren tones. When they are activated, the sirens sound for a set amount of time as determined by your community. Alert: A single tone signifying an emergency alert. This signal may be used for an emergency or disaster, including a severe storm, tornado warning (not a tornado watch), earthquake, chemical hazard/hazardous material incident, extreme winds, or biological hazard. Attack: An up-and-down, rising and falling tone to signify there is a homeland security or attack emergency. This signal would be used if community officials were notified by federal and/or state government officials of an actual or impending attack on the local community. All Clear: Not used by all communities. McLean does not sound an all clear. Please tune in to your local news agencies and listen for notification from city officials regarding the emergency. Please visit https://www2.illinois.gov/ready/hazards/pages/tornadoes.aspx for further information and siren tone examples.